Review Body: Grandson and I made this yesterday, 2/3/18. The three of us (wife joined in the feast) ate the seafood, sopped up the broth, and had two bowls each. Everyone gave it a 5 star rating! Followed the recipe except for the seafood selection. No clams but yes to scallops and lobster tail. 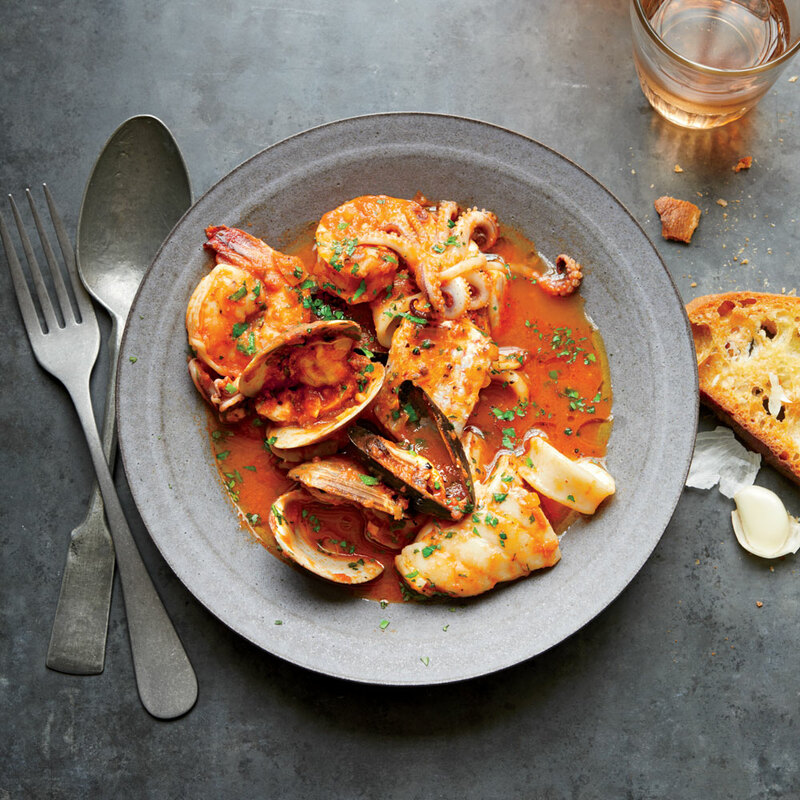 This is as good if not better than Julia Child's Bouillabaisse. Definitely a keeper to make again and again. Thank you Food and Wine.